Check and overlay motorcycle geometry of up to 5 bikes. 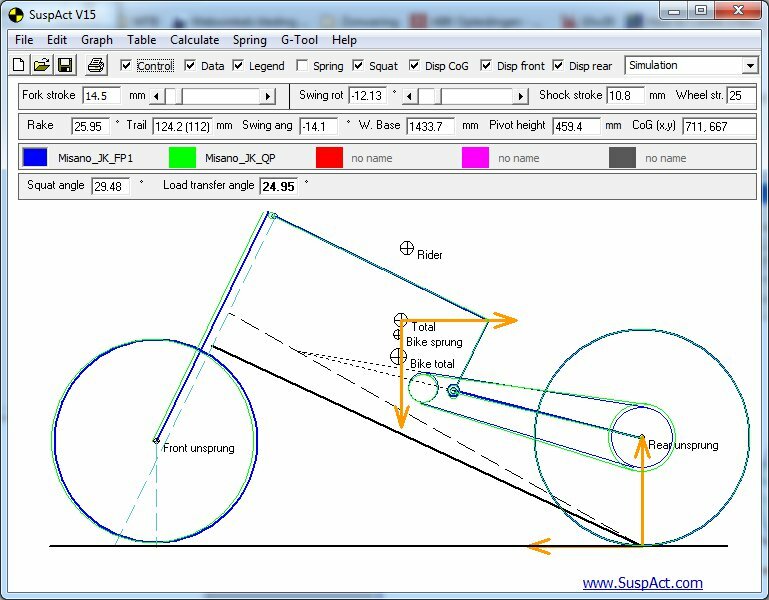 Compare race bike geometry . Anti squat forces or angles can be calculated and the center of gravity of several bikes can be compared. In plane simulation of the motorcycle during accelaration and braking, as well as graphical display of the force (orange arrows). SuspAct uses the bike graphics in the main screen. You can inmediately see what changed in comaprisson to the other bikes currently loaded.